Red, basically. We did have one 01 white, but I don’t think it was in great condition. Haven’t had the chance to try a rosé. No surprise all three of these are Italian! I think probably that slight bitter touch is appreciated for its food-friendly qualities. Mmmm. Well it is made in an oxidative style (a la Tondonia) so i suppose it might be thought to be in poor condition, even if a perfect example! Having the 1999 tonight (as part of a 1999 tasting). It’s very golden and smells of honey. I certainly really like it! I believe the correct term is Olfactory Memory, which is a bit dull. How about “Smellory”, itself redolent of a particularly distintive whiff. I too love the smell of tomato leaves on a warm day. I did once macerate a large bunch of leaves and stems, mixed a little ethanol in and distilled it. The condensate was fantastically concentrated and retained that smell. The tiny quantity was used to flavour some olive oil & then drizzled on warm bruschetta. Nice, but quite a faff! The tiny quantity was used to flavour some olive oil & then drizzled on warm bruschetta. Sounds fantastic… I can almost smell it! Three cheers to Smellory! The Easter break is hear, first April glass of wine. Nice varietal character, slight herbaceous, stalky finish. Warming to it with every sip. So here’s my tipples. It’s payday for me this week and because that happens quarterly, things do tend to get quite wine-y! This one was opened out of curiosity - I’ve never tasted it before and in truth I knew it was probably a few years early. But nevertheless, a really nicely balanced St Estephe with some nice minerality showing through! 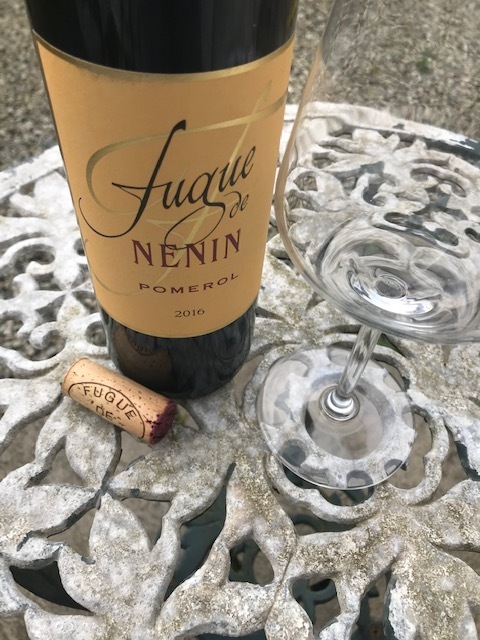 Second wine from Chateau Nenin. This was quite lovely. 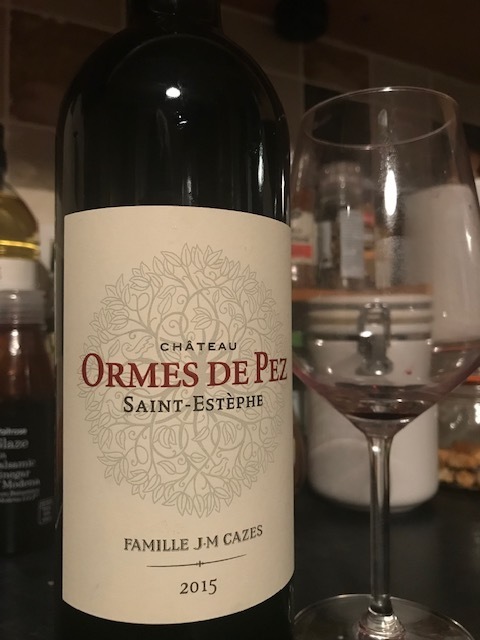 An easy drinking Pomerol, quite silky and finessed for the price. Liquorice and Strawberries abound. I also tried the Societies’ Exhibition Haut-Medoc over the weekend. Everyone’s recommendations proved to be true. I thought it was good value and can certainly hold it’s own against other wines in that price bracket. Dinner party friends were suitably impressed, so well done everyone. Very good. Lighter and a bit more fruit forward than some of the other mondeuse. Pepper dominates the nose and dark fruits the palate, with some acid and a little tannin. Not sure it has much aging potential maybe another 3-4 years but good now. 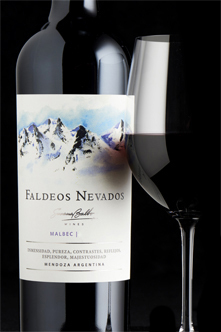 A rich and ripe black-cherry scented Argentine malbec sourced from Dominio del Plata, with a round body and soft tannins. Full on Malbec - agree with the ripe cherry smell descriptor form the society, fruity and ever so slightly spicy in the glass. Tonight Buena Pinta 2015 from Manchuela (Bodegas Ponce). This is apparently 85% Moravia Agria and 15% Garnacha, and I don’t think I’ve ever tasted a wine from Spain’s south-east quadrant like it (OK, I’m pretty sure I’ve never tried a Moravia Agria either, and this is from Cuenca province, so borderline SE I guess). Quite pale in colour and very juicy, light to medium-bodied with plenty of sour cherry acidity (I think this is a characteristic of the grape). 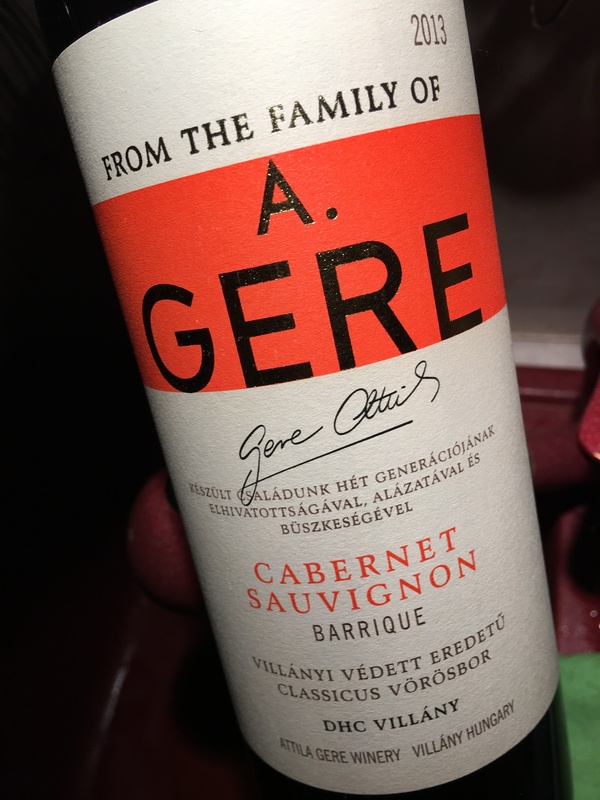 It isn’t watery at all, though, and as well as being an interesting food wine for tonight I have the feeling it will have plenty more to say for itself in the next couple of days. Yet another example of fascinating and groundbreaking wine from Spain. Reminds me a bit of the Gredos/Madrid garnachas. Must be the most interesting country in the world of wine right now. Red. Had one white with here (the 01), and she wasn’t keen, but I think the bottle was faulty/prematurely aged. Have only tried the rosé once at a tasting. First glass of a 2015 Dom. 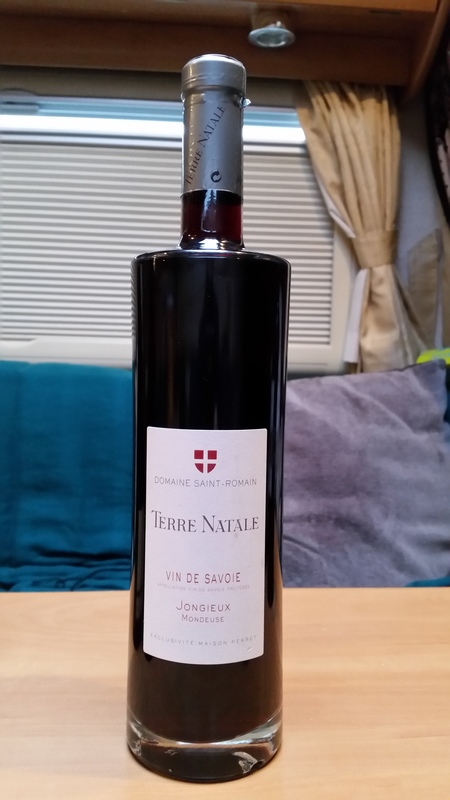 Escaravailles Cairanne decanted into eto. Initially less impressive than previous bottles, more hot alcohol than warm fruit. Possibly needed to be served warmer and possibly needs air, otherwise this may be at three and a half years old entering its mid window slumber. I think she may find the musar white a challenge if she does like oxidative notes. Was trying to have a dry week but my friend popped over last night and well……. I had a couple glasses of this which I picked up in Calais last year. It was lovely and light and typical summer garden sipping wine. I’m glad I have another couple bottles for when friends pop over through the summer. I actually don’t know anyone else anymore who likes these wines (include Tondonia white), so not much point in buying them! 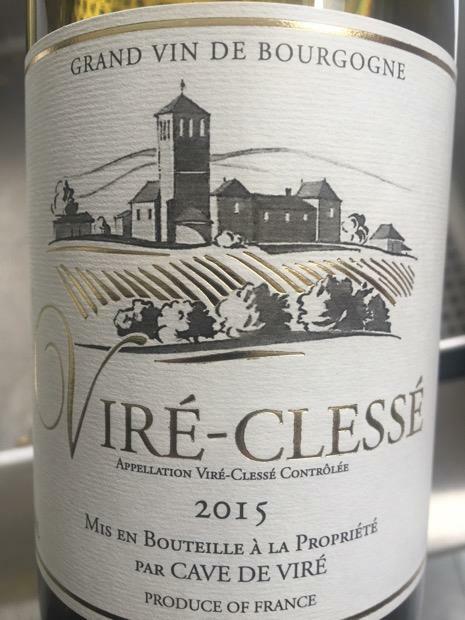 Average of 88.3 points in 3 community wine reviews on 2015 Cave de Vire Viré-Clessé, plus professional notes, label images, wine details, and recommendations on when to drink. This evening was another blind tasting for me, chosen by him indoors. My notes say: “lovely deep ruby colour, with a touch of purple; nose is floral, with cherries, ripe blackberries and plum (perhaps?). On the palate - lighter than the nose suggests, but has lovely berry and cherry notes, chalky tannins and a fresh acidity. Medium finish. Quite delicious”. No longer available, unfortunately. 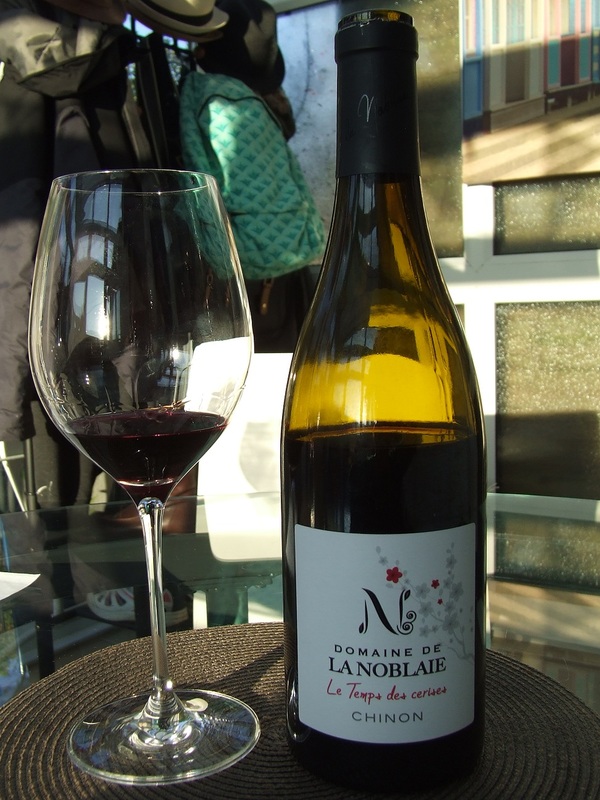 What a charming example of a Loire Cab Franc! Harmonious and generous in its fruit and nose- excellent value for money too!